Badass Movies: Is Haywire Badass? 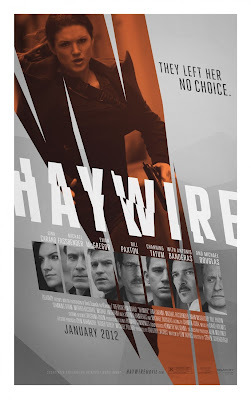 I have a confession: I have been waiting to see Haywire since it was first announced. When the trailer was released, I thought it looked amazing in a modern day, 80s action film kind of way. Last week, several of my friends saw it and almost all of them hated it, saying it was boring and pointless. Tonight, I went to see it and it was everything I wanted it to be. MMA star Gina Carano plays Mallory Kane, a security contractor who is betrayed, framed, and has to fight to clear her name. That's it. That's the whole movie in a nutshell. 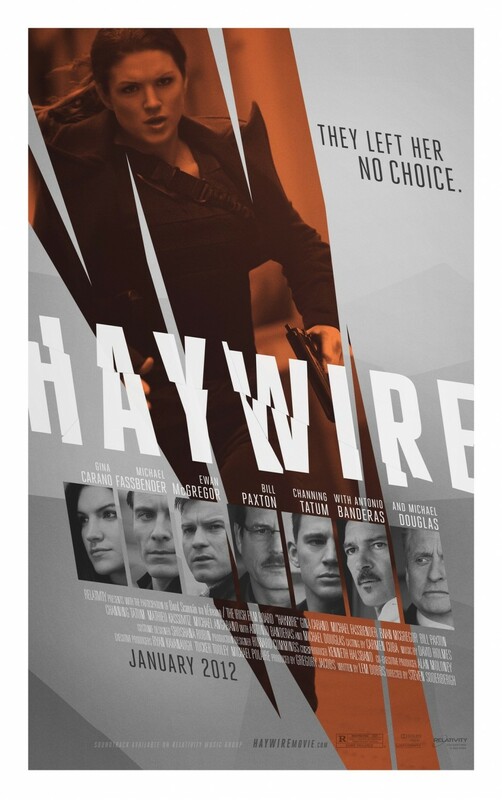 If you go into Haywire looking for anything more, you're in the wrong movie. The dialogue is direct and to the point with volumes conveyed in few words, with the acting just as sparse. Those who complain about the acting or lack of dialogue on display here need to go back and watch such genre classics as Commando, Bloodsport, Enter The Dragon, or Predator. Nobody watches those films for soliloquies or nuanced portrayals... they get watched for the action. And that's the reason to watch Haywire: the action. Carano is virtually untouchable right now as a Hollywood action star since Haywire features some of the best fight scenes ever put on film. Director Steven Soderbergh chose to film the action so you can see every single punch, kick, choke, and throw in all their elegant brutality. Simply, it's The Bourne Identity without the shaky cam. And that is very, very Badass.